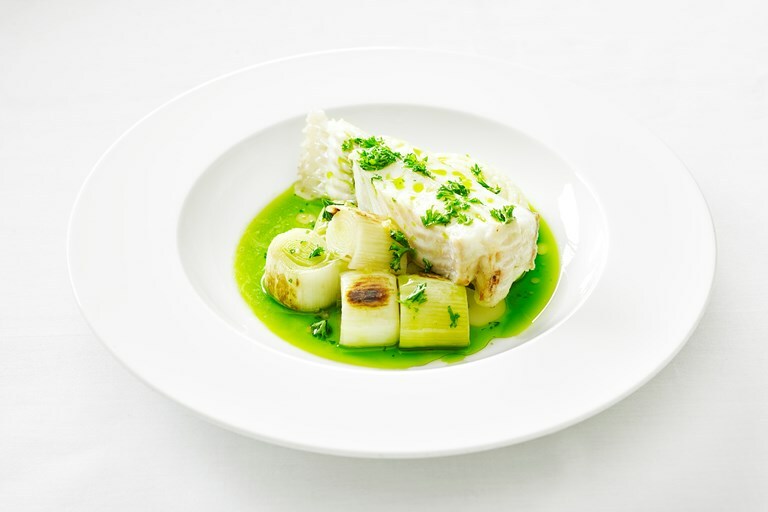 Tom Brown bakes turbot on the bone before serving with buttery mash and a vibrant parsley, lemon and garlic dressing. A beautifully elegant dish built on classic flavour combinations, executed with skill. Making a name for himself as head chef of Outlaw’s at The Capital and on Great British Menu 2017, Tom Brown is a bright young talent now in charge of his own restaurant – Cornerstone – in Hackney Wick.